People who get food stamps have lower annual health care expenses than other low-income adults. The issue: Food insecurity is characterized as “limited or uncertain access to adequate food” by the U.S. Department of Agriculture (USDA). Around 12 percent of households in the United States experienced food insecurity in 2016. Limited food access is linked to a host of health concerns, including chronic diseases such as hypertension, diabetes and asthma. To address the problem, the federal government’s Supplemental Nutrition Assistance Program (SNAP) offers resources for low-income adults to purchase groceries. Formerly known as food stamps, SNAP provides a debit card known as Electronic Benefits Transfer (EBT) for use at food retailers. For fiscal year 2017, over 42 million people were enrolled in the program and the average monthly benefit stood at $125 per person. Prior research found that, considered separately, both food insecurity and SNAP participation were associated with obesity and a lower-quality diet. When considered together, however, participation in SNAP was linked with lower body mass index and improved nutrition for adults who previously lacked adequate food. A recent study delves further into the effects of SNAP participation, examining the association between participation in the program and health care spending. An academic study worth reading: “Supplemental Nutrition Assistance Program (SNAP) Participation and Health Care Expenditures Among Low-Income Adults,” published in JAMA Internal Medicine, November 2017. About the study: A team of researchers led by Seth Berkowitz of Massachusetts General Hospital looked at the health care spending of 4,447 adults whose income stood below 200 percent of the federal poverty line. Health care expenditures were defined as all paid claims and out-of-pocket spending from 2012 to 2013. About half of those studied were SNAP participants; the rest were not. The researchers compared health care expenses between the two groups, adjusting for factors such as age, gender, insurance and income. SNAP enrollees spent an average of $1,409 less on health care per year than those not enrolled. SNAP participation was also associated with lower health care expenditures within specific subgroups. For example, SNAP enrollees with hypertension and coronary heart disease spent, on average, $2,654 and $4,109 less, respectively, than nonparticipants with the same diseases. 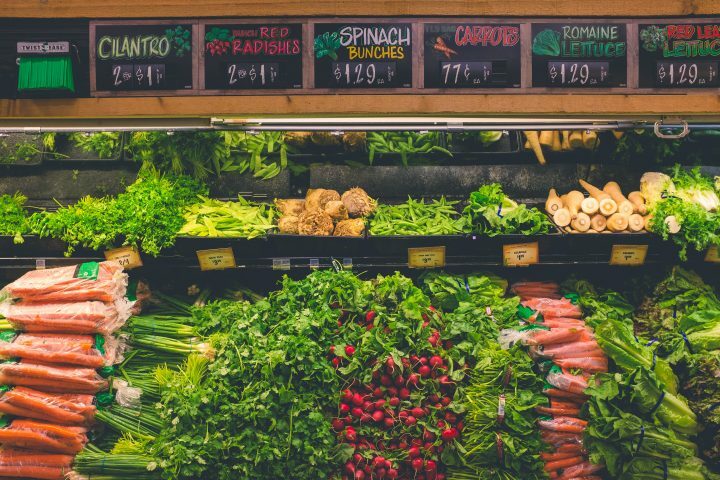 To explain this association, the researchers suggest that SNAP benefits might help recipients manage chronic health conditions through diet changes. Additionally, they suggest that SNAP participation lessens one budgetary stress, which might allow those with chronic concerns more resources to manage their conditions. The researchers point out a few limitations of the study, including the fact that the SNAP assessment captures only a single point in time. Because some people cycle on and off SNAP, their enrollment status is subject to change and might have been misclassified in the study. The USDA, which manages SNAP, has an overview and fact sheet on the program, definitions of food security, research reports on the effects of the program, and connections to local resources. The Congressional Budget Office offers information on government spending on food and nutrition programs. A study published in Health Affairs in 2015, “Food Insecurity and Health Outcomes,” reviews the links between food access and health concerns, including asthma, anemia and depression. A 2016 study published in Public Health Nutrition, “Food Insecurity, Coping Strategies and Glucose Control in Low-Income Patients with Diabetes,” found that food insecurity was linked with poor glucose control and enrollment in SNAP was associated with better glucose control. A study published in JAMA Internal Medicine in 2016, “Effects of Subsidies and Prohibitions on Nutrition in a Food Benefit Program: A Randomized Clinical Trial,” found that incentivizing the purchase of nutritious foods and restricting the purchase of less healthy foods prompted SNAP participants to consume fewer calories and sugar-sweetened foods. A 2016 study published in the Journal of Nutrition in Gerontology and Geriatrics, “Food Insecurity and Health Care Utilization Among Older Adults in the United States,” found that older adults facing food insecurity generally spent more nights in the hospital and had more office and emergency room visits than older adults with adequate food. Citation: Berkowitz, Seth A.; et al. “Supplemental Nutrition Assistance Program (SNAP) Participation and Health Care Expenditures Among Low-Income Adults,” JAMA Internal Medicine, November 2017, Vol. 177, No. 11. DOI: 10.1001/jamainternmed.2017.4841.